The opening verse of this chapter informs us that it was written "for Shelomo," which the commentators explain to mean that David here offered a prayer on behalf of his son. 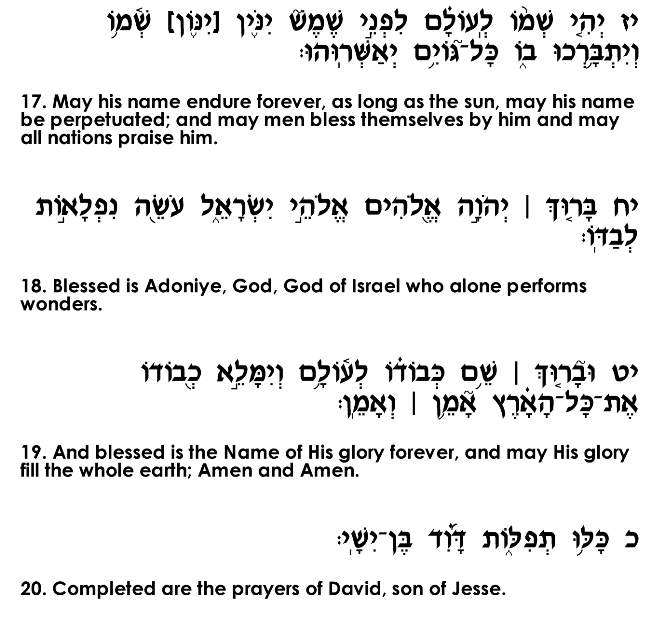 This chapter concludes by indicating that this marks the final Psalm of David, and the Radak thus suggests that this was David's final prayer before his death. Realizing that his end was near, David had nothing more for which to pray other than the success of his son's kingship, and this is theme of Psalm 72. 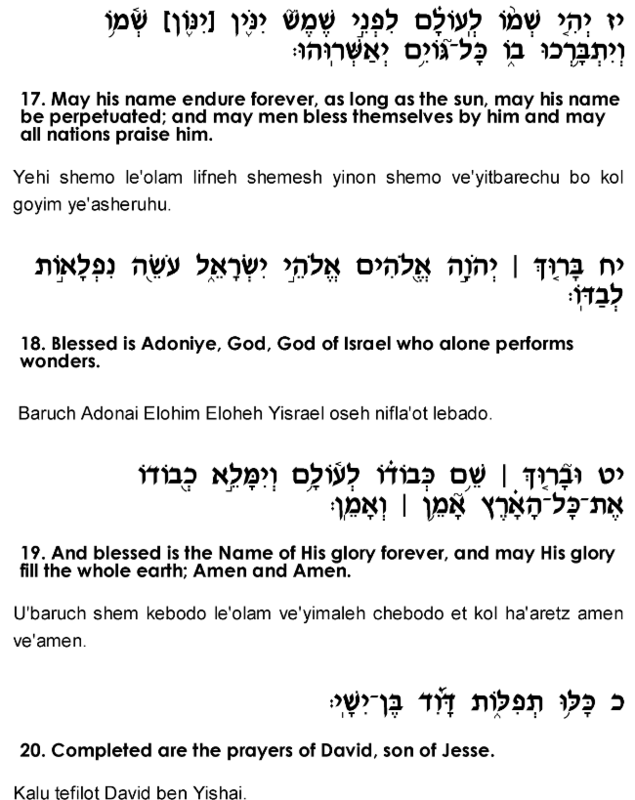 David's primary request in this prayer is that God should grant Shelomo the wisdom to judge the people fairly, such that the poor and underprivileged, who are usually the victims of abuse and corruption, are guaranteed protection from the upper class. David emphasizes that it is through Shelomo's efforts on behalf of his needy, impoverished citizens that he will achieve fame and dominion over the surrounding nations (verses 8-14). Wealth and power are gained not through heartless ambition and cruel aggression, but to the contrary, through compassion and sensitivity to the plight of the disadvantaged. This concern for the needy will bring as well general economic prosperity to the country (verse 16). 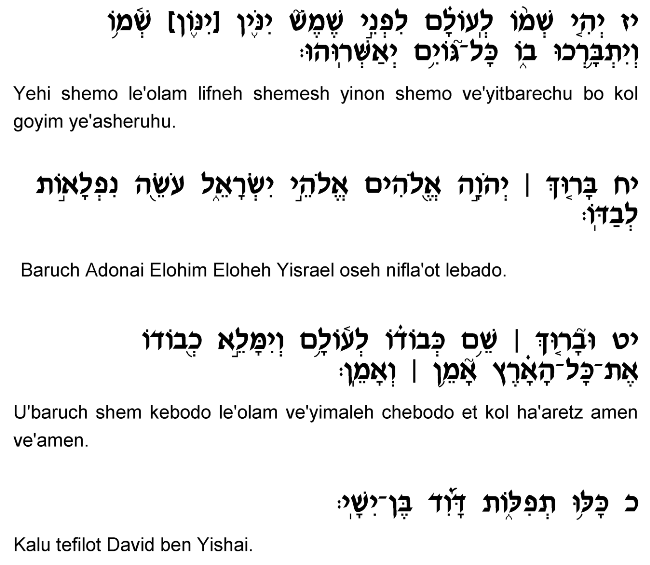 Interestingly, David's prayer for his son before his death is repeated later by Shelomo himself, shortly after his ascent to the throne. 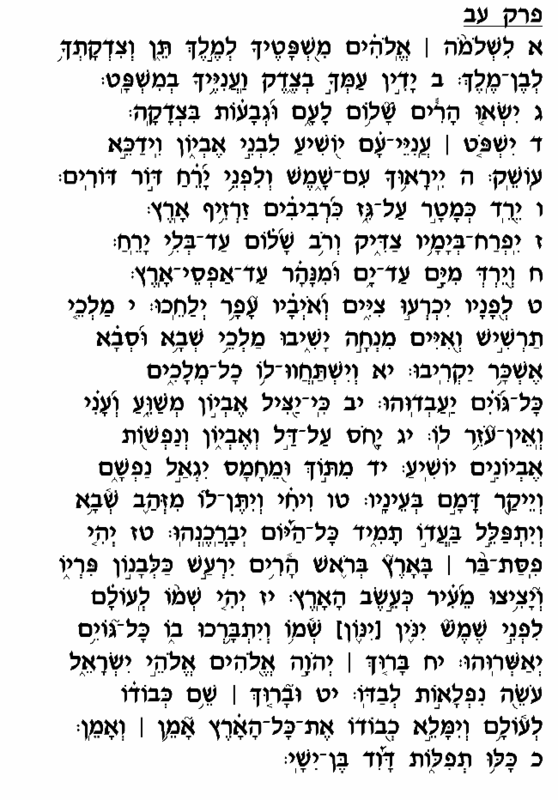 We read in the Book of Melachim I (chapter 3) of God's revelation to Shelomo offering to grant whichever request he makes. Rather than requesting fame, wealth or longevity, Shelomo instead asked for wisdom to judge the people fairly and to competently determine innocence and guilt. Like his father, Shelomo understood that the key to a successful kingdom lies mainly in the proper execution of judgment, in the vigilant, fair and honest rule of law that punishes criminals and vindicates and assists the victims. This helps maintain the internal peace and stability the nation needs to grow, thrive and prosper, and to render themselves worthy of the Almighty's blessings and protection.